While the ‘Gotti’ actor shares a fan-made painting of Jett on social media, his actress wife uploads a series of photos capturing them with their eldest child who passed away in 2009. 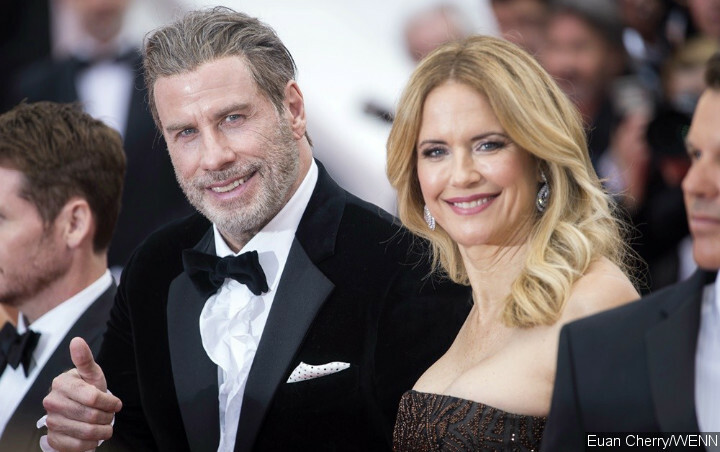 John Travolta and Kelly Preston honoured their son Jett on what would have been his 27th birthday. The “American Crime Story” actor and his wife took to Instagram on Saturday to pay tribute to their eldest child, who died in 2009. Travolta shared off some fan art of his son, and sweetly wrote alongside the portrait, “A painting a fan made of my son Jett! Happy birthday my son I love you!”. “Happy Birthday Jetty, my sweet love,” Preston captioned a slideshow of photos that included snaps of her and her husband with their son. The post comes a week after the 56-year-old “Sky High” actress shared a black and white photo of her and Travolta kissing and cuddling Jett, in honour of Autism Awareness Month.